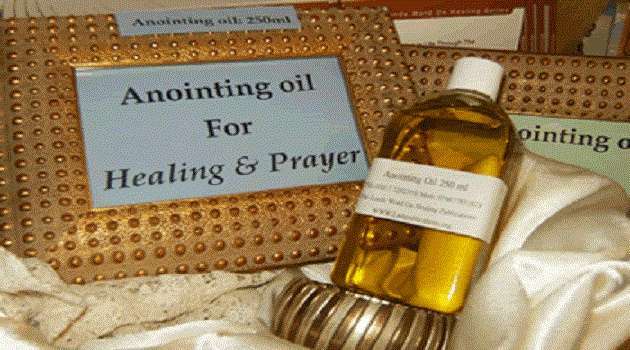 Government has urged the church to stop the sale of anointing oil and holy water, a practice which has become rife in some churches. Minister of National Guidance and Religious Affairs Godfridah Sumaili described the sale of anointing oil and holy water as a manipulation and a total abuse of the ordinary people. “Selling of anointing oil and holy water it’s theft, its criminal, stop selling to unsuspecting people. The power is from God; God is using you [pastors] as a vessel, freely you have received from God and freely you must give,” she said. Speaking in Livingstone on Friday during a meeting with members of the Livingstone pastors fellowship, Reverand Sumaili said prophets who sell anointing oil and holy water are taking advantage of some desperate people. She said it is unfortunate that Zambians are being manipulated and pay colossal sums of money to prophets in exchange for miracles, anointing oil and holy water. What has lead to to the infestation of this new false Pentecostal cult? Is it poverty and desperation? We must find ways to help and protect the poor and vulnerable in society. At least the Catholics don’t sell holy water. Manje ba pente!! You fly in private jets and still have the audacity to steal from poor congregants by selling prayers or oil. What’s wrong with selling glycerin? What are health risks? At least pentecostal pastors do not routinely molest little boys. At least they did not take part in the Rwandan genocide. At least pentecostals pray to God for forgiveness of their sins rather than seek it from a fellow man hiding in a box. if the intentions are aimed at protecting the gullible, then the same should be extended to witchdoctors and politicians. bring back lost lovers, marriage to Europeans, promotions , become rich, pass exams. truth is con men and women are everywhere. Govt, that is how best the churches for someone have responded to the slogun of more money in the pockets. Maybe, you are still explaining the how? Otherwise, Zed is now a country of who cheats the most. Once a businessman decided to open a bar next to a church. Church members did not like the idea & started praying that the project would fail. One day, lightening struck the bar and it burnt to ashes. The bar owner sued the church in court for his losses. In response, the church denied the allegation whatsoever. The judge stood up and said, “I have a difficult situation here…i have a bar man who believes in the power of prayer & a church that denies the power of prayer.” Madam Minister, which one are you? It’s only in Africa, Zambia in particular where you will find such idiosyncrasies. Surely in this 21st century, can one expect such ignorance really happening to an extent where, pipo can go to such length as to sell/buy saladi and/or tap water and call it Holy? Iyeeee mwebantu sure, no wonder in Chipata today especially in Chief “Mwanya’s are”, when you hear these so-called ‘born again’ Christians (whatever the meaning), talking about ‘Jacob’ or ‘simon Peter’, you wud think they were Ngonis too who feasted on RATS yet, they were and are the same as these Arabs north of us; the men in dresses! This practice is done all over the world, as a matter of fact, these people got this idea when they watched it being done on major networks like Christian Broadcasting Network and Trinity Broadcasting Network in America. Why do you always condemn your own people? That’s ignorance. Who do you blame in this transaction of snake oil? Another irrelevant role for this utterly useless ministry. NOTE: LT sort out your virus infested website..one can not even type a letter on their mobile phone as its taking up too much memory. Just because a phone is not Apple does not make it obsolete…there are pros and cons of having one depending on what you want from your phone. I have installed adblocker from playstore and noticed great improvement!! @Lombe & @ Jay Jay. There is no point to criticise everything. Here she is 100 % right. Do you not see that there is no substance in the so called anointed water, oil, wine or whatever. Pls learn to give praise where it is due or remain mute if you fail to give praise. Thats another reason why the Lazy one should never have created this waste of taxpayers money…very soon they will be asking churches to request permits from the Police. You want Reverend Sumaili to be attacked by a suicide bomber? This woman has no job. Is that a policy statement? Black people don’t read. Hence : Gullible. Ignorant. Musungus dont read as well but they are not branwashed by religion!! What does the word human right mean?lets define our freedoms and avoid hurting others in Jesus name!! This woman doesn’t know what she’s doing. She doesn’t realize that most wars that have devastated countries are because of Religion. Next time she will ban the Jehovah’s witness like Russia did. She’ll ban the Seventh day Adventists because they worship on Saturday. Next she’ll ban Islam in Zambia because they’re terrorists. And this will cause war or persecution. It’s very possible that the terrorists Muslim group in Kenya can come down to zambia and start killing people because of her. It seems like she wants everyone to practice the kind of worship they do at her church, Northmead Assembly. Any other worship style is wrong according to her. This is dangerous. Open your eyes you are still sleeping. Just stop stealing from the poor people through selling your useless oils and water you conmen. You call yoselves prophets and hide behind the bible yet busy stealing in broad day light you thieves of the bible. Its only Hallelujah churches that sell anointing oil because with them everything is business! Go to well established churches like Catholic, anointing oil is given free. This secular, satanic organisation called the Catholic church is no church at all. Catholics are in the same league as satan worshippers. Our very own Bishop Milingo, in a speech given in November 1996, revealed that high-ranking members of the Catholic church hierachy were “followers of satan” or otherwise enable evil(e.g the rampant molestation of little boys in their church, aiding genocide in Rwanda). And we had our very own Father Frank Bwalya practice a ritual killing a chicken and sprinkling its blood on the ground at a PF public rally. Rituals are associated with the devil. And we know which “church” indoctrinated Frank Bwalya. If you are a catholic, you have been duped by satan. If you defend the Catholic religion, you are working for satan. But most catholics are arrogant and self-righteous, and you can’t reason with them. They have chosen to reject God’s word to keep their own tradition instead. They bow down and pray to statues(God forbids in Exodus 20:4-5); mumble chants instead of prayers; confess their sins to a wicked priest(Their priests falsely profess to have power to forgive sins); bow in idolatry to dead saints; they revere a blasphemous Pope(a Pope that questions the existence of God); obey the self-righteous traditions of men instead of the Holy Commandments. You should also ban the Roman Catholic Church from selling indulgences?. When your relatives are in purgatory, you pay money to the church or priests so your relatives can move to heaven. This is practice in done in Catholicism, it should be banned too. Does it need a Minister or government intervention for the practice to be stopped? You cannot regulate religion. If the people are so gullible as to believe the oil and water as special powers, then let them be. No harm is done to anyone. At the rate we are going the Minister will wake-up one day and determine that holy communion is a useless doctrine and should be banned. @Blabla, just stop stealing from the poor people through selling your useless oils and water you conmen. You call yoselves prophets and hide behind the bible yet busy stealing in broad day light you thieves of the bible. The folly of most nations is that they think that only rules and regulations that come from foreign nations are ok. They disregard their own rules, regulations and even laws. The ministry of religion is uptly set up to stop the rot that exists in the religious circles. Desperate gullible people think that there is a quick solution to their problem. Take for instance people would buy a bottle of mere water from Nigeria and pay hundreds of kwacha for a 30 ml bottle. This is not only in Zambia, in South Africa people do the same paying for mere water and stickers which they believe protects them- shame. It is only recently that southern Africa is waking up to these money making schemes in the name of prophets. Zambia is on the right truck we need to curtail this rot. He advertises his anointing oil and ruling party members are the biggest buyers. Even Lungu is buying it so when will he be shut down? He already went under the water as the bible says. Jesus set the example. Now coming to the issue at hand, it’s a personal choice and this has been made worse by the economic situation Zambia is experiencing. It’s either holy water or the Sangoma from Tanzania – people are desperate and hungry in this country and the Pastors and Sangomas have taken advantage of this once in a lifetime opportunity to make money. You can’t blame them as they too like you need to survive. My appeal to you madam is to approach your appointing authority to do something for those who ‘put’ him in office. Did you people know that ordinary oil is sold? So maybe if you want, you can simply buy oil and take it to be prayed for and then use it as anointing oil. Bottom line, oil is bought then prayed for. All what these people do is get back money they spent on the oil so as to buy more for others to benefit. The problem only comes in when it is done for profit. What worries me most is that the people whose thinking capacity is at the level i.e believing and buying this sort of stuff are the people who vote. To me, we are in a very dangerous situation because such people are not yet at level were they can discern the implication of their actions. When they do something stupid, the next day they declare a national day of prayer and fasting. It is a cry much needed to save Gods’ people. It’s important for people of faith to defend His Church so it is not infested with unholy people misleading people that Gods’ Kingdom can be bought from fake teachers. Protect your faith and be sure to receive ‘light’ from the right source. Test your churches, elders and their teaching. If it falls short, protect the most important relationship you have, that one with God. WHEN A GOVERNMENT STARTS INTERFERING IN RELIGIOUS AFFAIRS JUST KNOW THAT THE COUNTRY IS GOING TO HAVE A CRUSADE OR A JIHAD. CHRISTIANITY SHOULD BE KEPT FAR AWAY FROM POLITICS. THIS SUMAILI WOMAN SHOULD BE PREACHING LOVE. ONENESS FORGIVENESS AND NOT DANCING TO THE RULING GOVERNMENT. PLEASE BA MAMA LEAVE US TO LIVE IN THE PEACE WE HAVE ENJOYED. ALL FREEDOMS ARE BEING DENIED US HERE IN ZAMBIA NOW. FREEDOM OF SPEACH. FREEDOM OF ASSEMBLY AND NOW FREEDOM OF WORSHIP. WE KNOW JOBS ARE HARD BUT DO NOT START A RELIGIOUS WAR JUST TO KEEP YOUR POSITION. The government should also consider stopping the witch doctors from selling their medicine even advertising on the national media. What surprises me is that the government is busy stopping Prophets coming to Zambia and yet allow witch doctors from within and other countries to freely operate in country. What is wrong with this Minister. Where is freedom of worship? Is the anointing oil adults buy fake? Is it poisonous? Jesus used ordinary fish and bread to feed masses, he was cleaned with ordinary perfume and so if the salad is used as anointing oil – where is the case? The worshipers believe the oil has been prayed for… Please let people worship ‘their God’in the way of their belief. Stop being a captain, madam Minister! Maybe it is worthwhile looking at why pipo are buying anointing oils. Maybe they dont see a positive future for themselves, their families or the nation. If pipo had hope then the proliferation of false prophets would stop. The Minister’ point is; freely you’ve received and freely give (Matthew 10:8) – she was actually quoting Jesus Christ and it is the instruction the Lord gave to His disciples. The actual power or anointing is not in the oil but in the Word of God and what these Prophets are doing is they exalt the oil more than the Word of God so that they can sale the oil or water. In short many of them have become more money-minded and as a result they have lost the real power or God’ anointing; they are now operating like witch doctors. This is what the Minister is discouraging. – Psalm 107:20, John 6:63, Proverbs 4:20-22. No one sells Anointing oil, in churches, the cost is for recovery of the high cost of olive oil in the country, unless the so called government will give us free olive pure oil, we will pray for it to be anointed, then will will give to the people free of charge. when we write stories we should balance the issues, people should not just say things anyhow. Clear explanation why annoiting oil is sold, please explain why annoiting water is also sold. By the way, do you use mineral water, distilled water, tap water…? So it was not about bushiri but the zambian church,madam you are figthing God. As a servant of God let sumaili work for free, since shes doing God’s work. sumaili there is no difference between you and an ordinary christian whats so ever. you cant even heal a common headache stop been bitter like your president edgar,.